As the days are getting longer and the sunshine – and warmth – is increasing, so too does our enthusiasm for activity. This month we have a day to focus specifically on our spines with World Spine Day on October 16th (though it should be everyday!). Why is that important? “Back pain and other musculoskeletal disorders are on the rise and Australians of all ages are suffering”. Fortunately, being patients of Chiropractic Solutions, you are already recognising the benefits of maintaining your health through having a well functioning spine. Read on for more details for World Spine Day, some great articles of interest and clinic news. Have a great month! Thank you to all of our patients who completed our recent survey. It’s always nice to receive such positive feedback, and we will be working on the great suggestions that you put forward. Thank you!October is another Seminar Month! Dr Luke will be away from Wednesday 10th October and will return on Monday 15th October as he heads to Perth for the Sports Medicine Australia conference for what will be an information packed week! Dr Neil will again be furthering his Functional Neurology practice by attending the FNOR seminar between the 19-21st of October. – joint injury, chronic pain, joint instability, motor dysfunction, post-surgical pain and associated cognitive and behavioural changes. How will you ‘Love your Spine’ this October 16? Tag us along with #WorldSpineDay #LoveYourSpine, we would love to see how you’re being active. 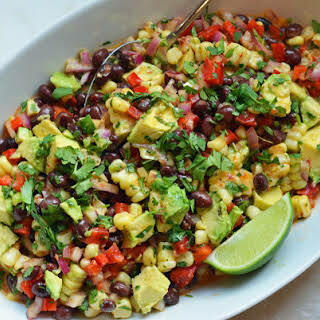 This black bean salad is a favourite of mine to make. Full of goodness and flavour, you won’t be disappointed. Black beans offer numerous health benefits. They’re a prebiotic, rich in the mineral molybdenum, resistant starch, flavanoids and soluble fibre. One cup yields 46mg calcium, 3.61mg iron, 120mg magnesium, 241mg phosphorus, 611mg potassium, 256mcg folate and 5.7mcg vitamin K. Too many benefits not to include in your diet. I hope you enjoy! Here are nine benefits for regular Myotherapy and Remedial Massage to get you back on track to feeling good. Parents who despair at getting their children to eat their veggies might need to have a look at the example they are setting. There’s no doubt that running is a tough sport. Even if you hit the gym every day and eat all the right foods, running a long distance can really challenge both your mind and body. If you consider yourself a non-runner, there is still hope for turning this around. In fact, increasing your endurance and cardio levels, and strengthening your mindset is as easy as following these eight easy steps. As you go about your workout routine, regardless of whether your goal is fat loss, muscle building, or simply to boost your health and fitness level, one thing that you must make sure is in place is a high level of persistence. There’s plenty of evidence to show physical activity does us good, from protecting against heart disease, diabetes and some cancers to aiding concentration and self-esteem in adolescents and improving sleep and stress management in adults.But it seems only a fraction of Australians move as much as we’re meant to. A new study reveals the gut has a much more direct connection to the brain through a neural circuit that allows it to transmit signals in mere seconds. The findings could lead to new treatments for obesity, eating disorders, and even depression and autism—all of which have been linked to a malfunctioning gut.